Word for Today: I am not ashamed of the word of God. Word for Today:I am not ashamed of the word of God. 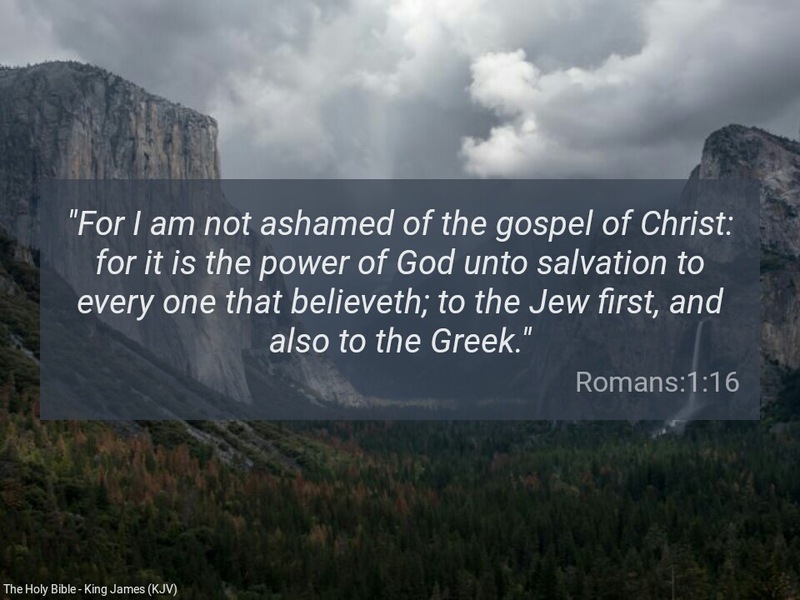 “For I am not ashamed of the gospel of Christ: for it is the power of God unto salvation to every one that believeth; to the Jew first, and also to the Greek” ( Romans 1:16). The word of God is the power of God. We see from Genesis 1:3 that the entire earth was in total darkness until God spoke. “The centurion answered and said, Lord, I am not worthy that thou shouldest come under my roof: but speak the word only, and my servant shall be healed” (Matthew 8:8). “For whosoever shall be ashamed of me and of my words, of him shall the Son of man be ashamed, when he shall come in his own glory, and in his Father’s, and of the holy angels” ( Luke 9:26). Brethren, never you be ashamed of the word of righteousness and truth. Father, please give us the grace to speak and share your word and never be ashamed of you in Jesus mighty name. Amen. Previous Previous post: Word for Today: Why you need freedom indeed. Next Next post: Word for Today: Anointing is crucial.